new designers to serve 6 months on her upcoming team! enter the challenge at the same time. Hope you all enjoy this card! I got double the enjoyment out of it! That is really really adorable! Good luck! wow! 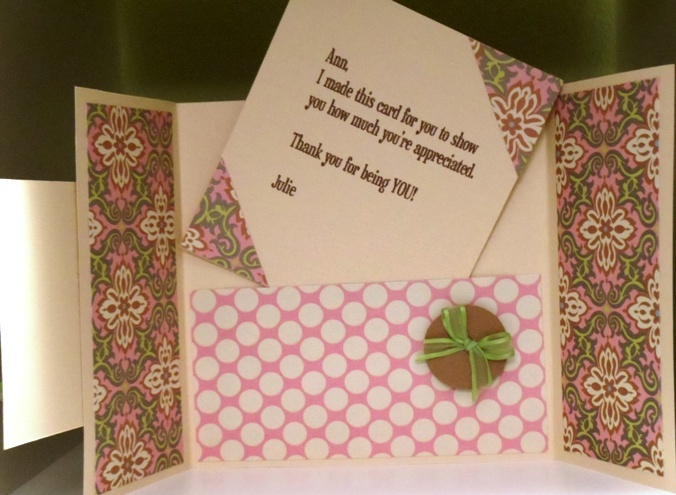 Very nice card and envelope. Best wishes! Wow. this is super cute!!! You are very talented! Good luck! Oh, the details are all just so perfect...love that little deer and the colors you chose. Good luck with the DT! I love all of the details that you have. It's adorable. Good Luck!!! So cute...Love the detail. 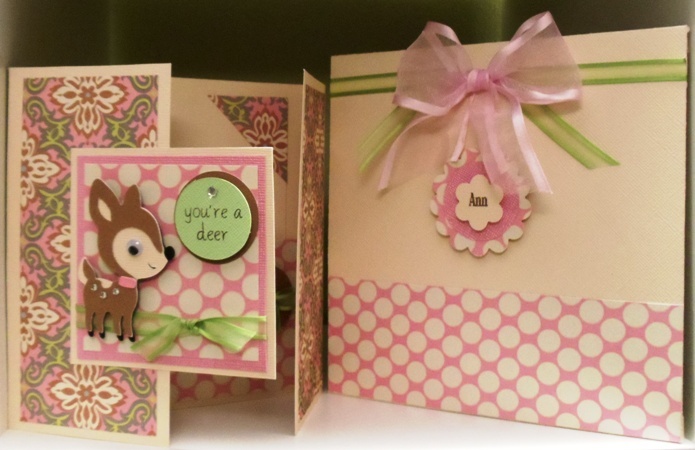 Come on over to my blog for 2 chances to win cricut cartridges! It ends tonight! Bug Hugs! Wow I'm in love with your blog ! 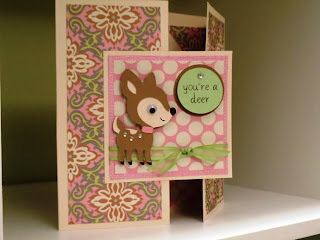 Great projects and your card is perfect ! Good Luck ! I'm your follower # 627 ! What a versitile and pretty card. Good Luck! 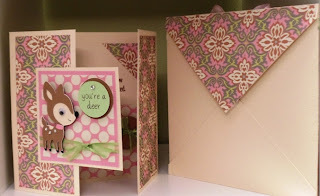 Beautiful card and matching envelope! Thanks for sharing! This card is gorgeous! My mouth dropped open...it is very impressive and very inspirational! Keep doing what you are doing! You will get chosen for DT in no time at all. Thanks for sharing. 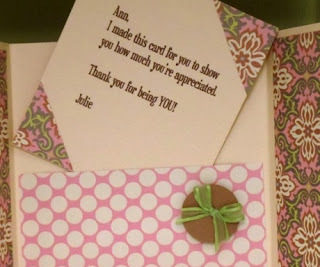 I think your card is wonderful. Thanks so much for sharing how you made it. Just might have to do a little scraplifting. I love your card so pretty and well planned!! Keep the wonderful ideas coming we love them!! Awww! I love this card! It's so pretty! I just became a follower...can't wait to see what you post next! 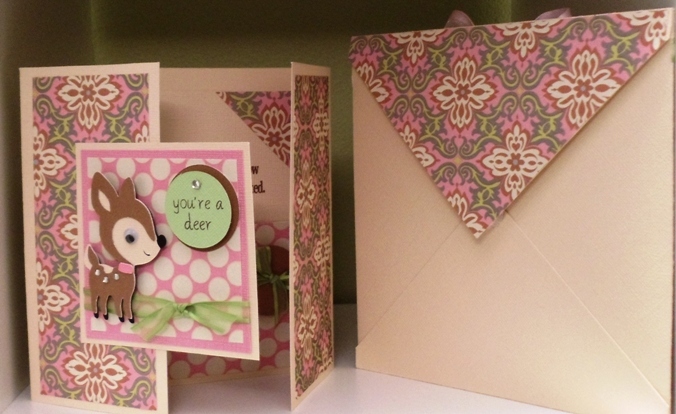 I am so loving this card/envelope set! The colors are great, the deer is so cute--what more can I say!! If I received a card like this I would feel very special, nice job, love it! Love this card!! Thank you for sharing the recipe! This car is so pretty. Thanks for sharing. Well......I meant CARD. Not car!